A very famous Irish Mountain! 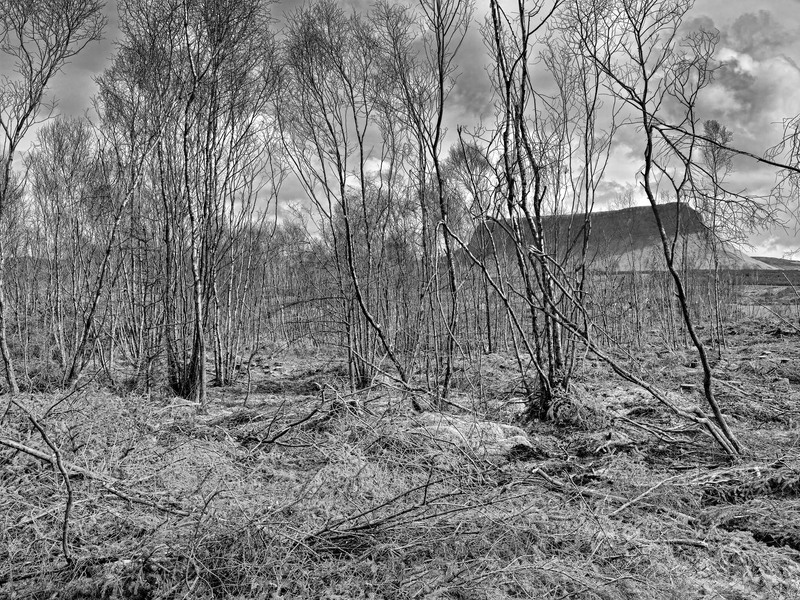 In this image you see the Ben Bulben, also known as Benbulben mountain viewed through an area of felled trees. Ben Bulben is Ireland’s most distinctive mountain and known in some parts as Ireland’s version of Table Mountain. Located just north of of Sligo town, it is part of the range known as the Dartry Mountains, in the North West of Ireland. Sligo County is known as Yeats Country after the great poet, William Butler Yeats, who was born there and is buried at the foot of his beloved Ben Bulben.